The world is a small place, and life is a circle. If you have followed my blog for a long time (or have dug deep and read all those old posts. Thank you!) then, you might be aware of the story I am going to tell you. 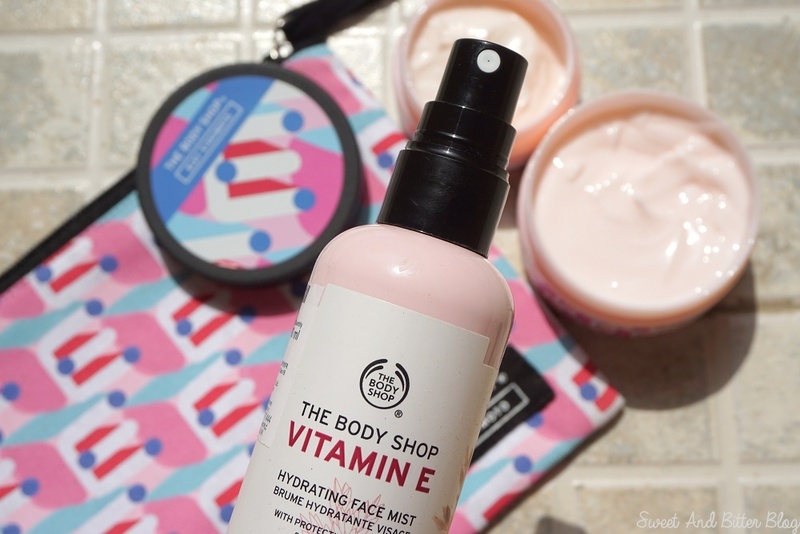 History: The Body Shop was one of the brands that I lusted for when I was studying. There was no way I could afford them. Even after I started working, I could not dare to enter their stores. But, after a year, all hell broke loose, and I made my first purchase there in 2010. It was at Great India Place, Noida. I shopped for over Rs 6000 which was a big deal for me back then. (Hell! it still is) I was introduced to everything that The Body Shop sold that will suit my skin by the lovely SA at the sore - Razia. For my dry, flaky skin (thanks to the dry winter and full-on AC at my office), I was recommended VItamin E range. For my skin, she suggested African Ximenia Scrub. She introduced me to the Christmas specials and recommended the Spice Vanilla. She is the one who introduced me to Satsuman and Moringa. She even stopped me from buying things that I wanted because they won't suit me and I would end up regretting my purchase. Maybe she felt that I am about to complain so, she seemed a little shook but replied, "Yes." I got all excited and blurted, "Where you in GIP?" Next time, you need to shop, and you are in Noida, ask for Razia in The Body Shop store at Mall of India, Noida. Because, I know it is important to have a non-pushy helping SA in your life. I am trying to find them for other brands as well. Let me know if you have found any great person or you stick to online shopping. Why I went to the store? A couple of weeks back I got an update that The Body Shop is has partnered with Fashion legends Eley Kishimoto for Limited Edition graphic print for Vitamin E Moisture Cream. They tried to bring the atomic structure in focus with the design. I went to get those. After several shiftings and traveling for work, I am back in Noida. My skin gets those dry flakes at times around my nose. Even oils were not helping, and I even used Lucas Paw Paw for relief. I used the Moisture cream just one night, and the flakes have not come back. 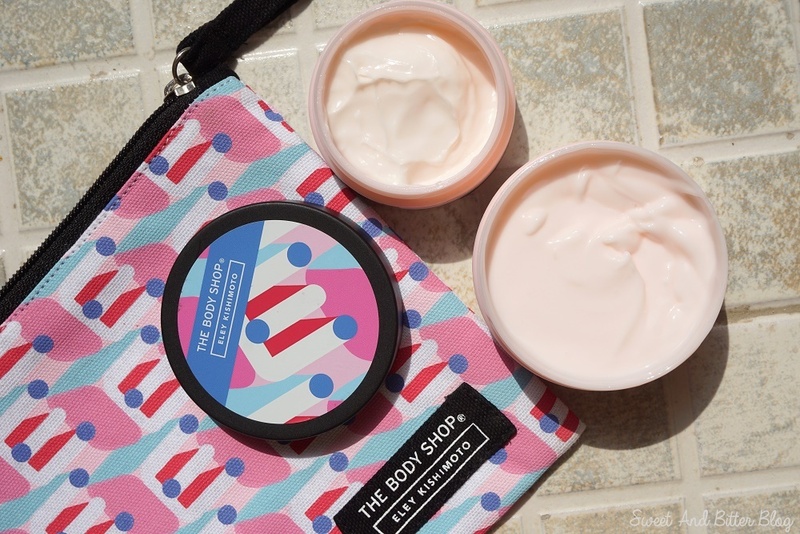 Moisture Cream which is TBS's best seller. One is sold every 18 seconds. This one has received the new limited edition look from Eley Kishimoto. You can see it in this TBS favorites post that I wrote in 2013. 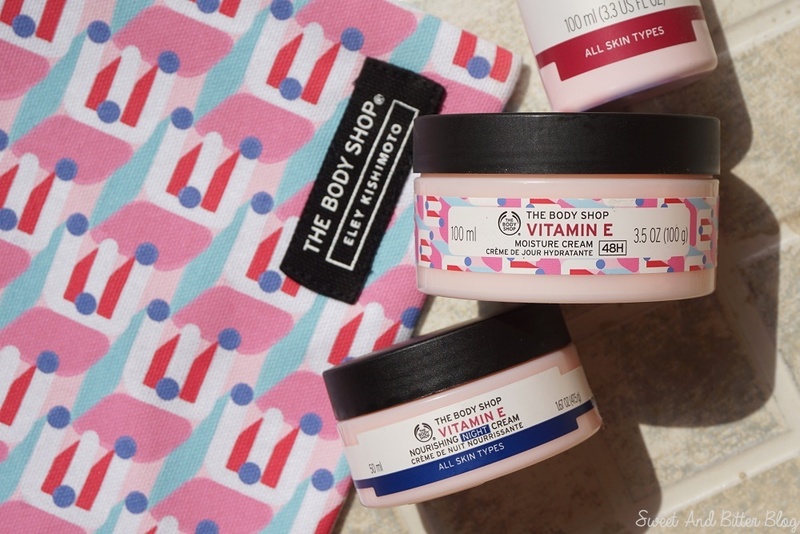 Night Cream which is thicker than the moisture cream. 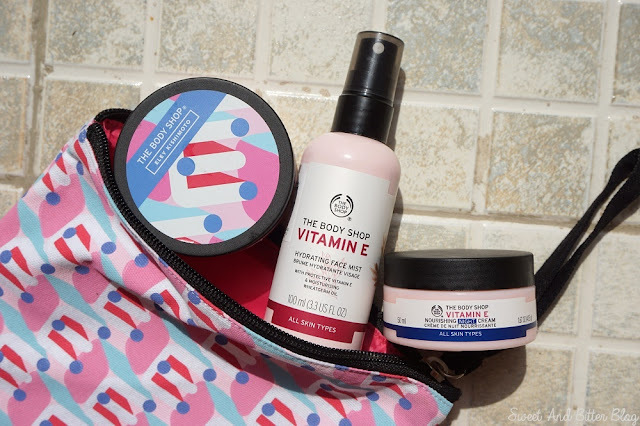 Day Lotion with SPF 30: For that glowy skin. It works great under makeup as well. 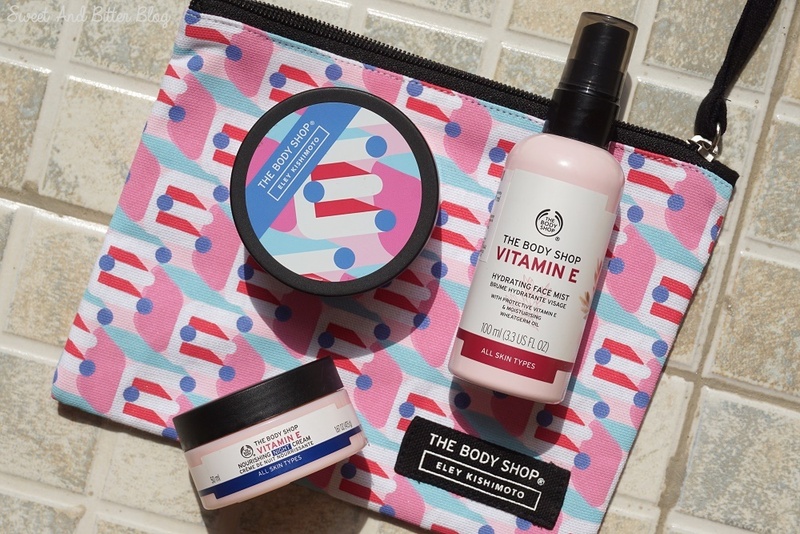 There is also pouch in the same print - printed canvas outside and raspberry pink polyester lining inside with a zip. For Rs 595, it is on the higher side. But, you can get it for free if you shop for Rs 3000. Have you ever had this feeling? How the world is so small and things happen in circles? * Products sent by brand for feedback. ** I am so caught up with this new life that I even forgot that LRP products work for my acne. After enduring those forehead acnes on my skin for almost three months, one day I went through my blog to get an answer. Started using them again and the situation is much better now. *** I have started using the new rose face mist from Just Herbs because I felt you will be more interested in that than this one. Also, the rosewater is better for this weather, and this will be better in winter.